Author: Sabine Lentz. Series edited by: Irmtraud Stellrecht. 20 pp. Roman, 443 pp. 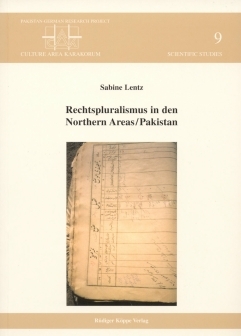 The present study focuses on law and legal pluralism in the Northern Areas. The Northern Areas are located between Pakistan in the south, Afghanistan in the west, China in the north and India in the east. Formerly affiliated with the Princely State of Jammu and Kashmir, a feudatory of the British Empire, today the Northern Areas are administered by Pakistan. Following an introduction into the research context the second chapter gives a short ethnographic account of the area including administration, geography and communication, as well as its heterogeneous population, identity groups, economy and religion. Chapters three and four provide a theoretical framework and description of the research methods used for discussing the topic of law and legal pluralism in such a surrounding. Chapters five to seven examine the historical genesis of the present situation and precarious constitutional status of the inhabitants, as Pakistan’s constitution (1973) is not valid in the Northern Areas. The reason for this is rooted to a large extent in the system of colonial administration which in fact was never profoundly changed. 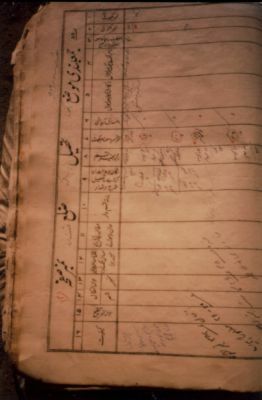 Chapters eight and nine focus on the development of indigenous and Islamic law. This was made possible by the disinterest shown by the various central administrations regarding a reform of the legal framework. Indigenous law was strongly influenced by local circumstances and was in turn challenged by Islamic law, which constituted another strong factor in the Northern Areas. The following six chapters detail the impact of legal pluralism on different branches of law, e.g. penal law, family law or property law, as applied in the Northern Areas. The conclusion underlines that in the Northern Areas the legal system is apparently more influenced by indigenous and Islamic law in localized forms than by the central state. Sabine Lentz widmet sich [...] diachron und auf unterschiedlichen Betrachtungsebenen einem Themenkomplex, der in zahlreichen regionalen Studien häufig ausgeblendet wird bzw. zu kurz kommt. Der Rechtsrahmen, in dem unterschiedliche Rechtssysteme zur Anwendung gelangen, bietet die Bühne, auf der menschliche Handlungen in Beziehung dazu behandelt werden können. Somit eröffnet diese Arbeit über den konkreten Bezugsrahmen hinaus einen Einblick in komplexe Sachverhalte, die auch andernorts einer Analyse harren, ist eine wahre Fundgrube für Hinweise aus der pakistanischen Rechtspraxis und bietet eine wertvolle Ergänzung der bereits publizierten Sammelbände und Monographien aus dem DFG-Schwerpunktprogramm ‚Kulturraum Karakorum’.